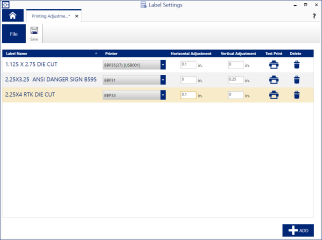 Save time and reduce errors by setting default horizontal and vertical printing adjustments when using specific label supplies with a specific printer. 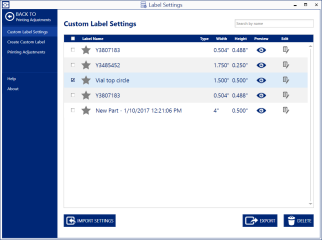 The Label Settings app also allows you to define custom label supplies for use with Brady Workstation, similar to the "Custom Parts" feature in LabelMark. Add support for custom parts on the BradyJet™ J2000 printer.